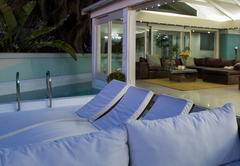 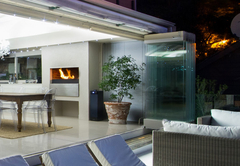 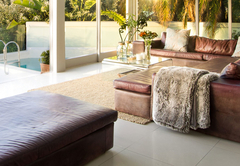 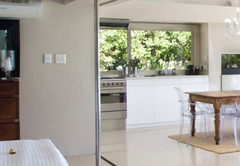 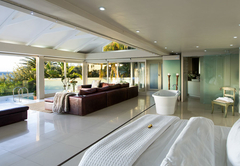 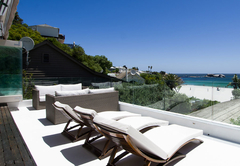 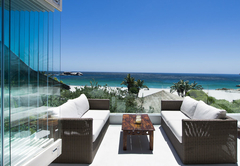 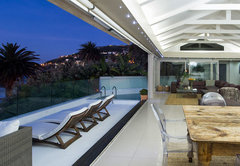 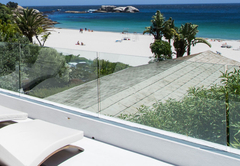 Clifton Bungalow is a property providing self catering in Clifton for up to 8 guests visiting the Atlantic Seaboard region. 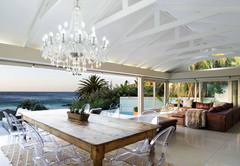 Clifton Bungalow accommodates eight guests and boasts an impressive location just 20 steps away from the white sandy beach of Clifton. 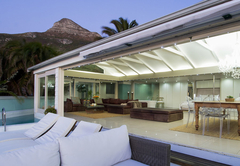 With great views of the ocean and Lions Head, this seaside villa is the perfect place to relax with family and friends. 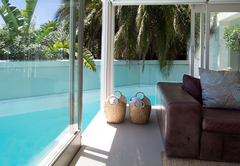 The self catering villa has four bedrooms, all of which are furnished with a Queen-size bed and have an en-suite bathroom. 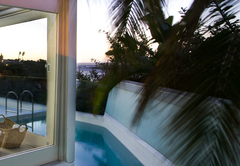 All rooms have a view of either the swimming pool or garden. 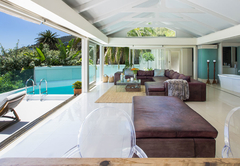 The villa is airy and spacious. 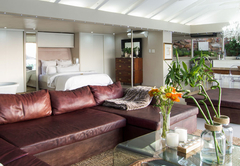 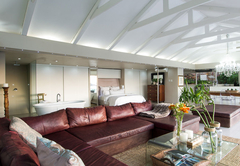 The lounge is elegantly furnished with leather sofas and there is a large dining table for eight guests. 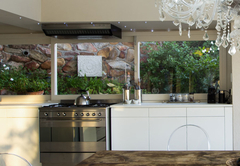 The open kitchen has modern appliances which include all the cooking essentials such as an oven, fridge / freezer, dishwasher, washing machine and tumble dryer. 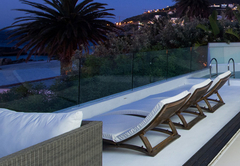 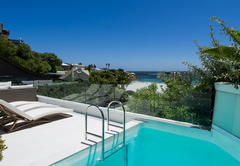 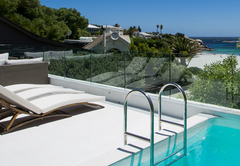 Clifton Bungalow also opens to the terrace and the pool with a spectacular view of the Lion’s Head and Atlantic coastline. 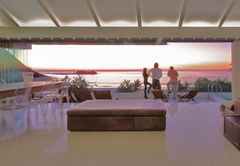 Modern 4 bedroom bungalow fully fitted with all mod-cons and boasts full sea-views from the lounge, dining room and Main bedroom. 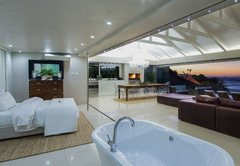 There's a pool on the upper deck and fully equipped kitchen. 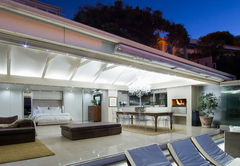 Response timeClifton Bungalow typically responds to requests in 5-10 minutes.